MAN WINS that’ll send your balance over the top. when you POP THE BALLOONS! dizzying collection of PRIZES & REWARDS. 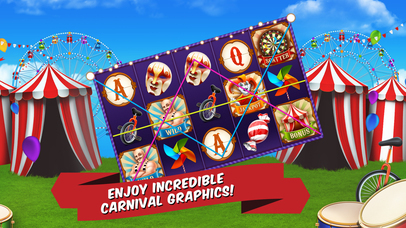 Carnival Slots is your winning ticket to fun!